Nowadays there are so many coffee joints in Singapore and Indonesia. You can see new coffee outlets opening in every new mall; which caters mainly to the trendy young adults. In Singapore, these coffee outlets are famous more for their specialty food which is toast bread and coffee. Bread are normally toasted till it is crispy and spread with butter or kaya ( sweet coconut ).� You can normally order a set – which consists of toast bread, 2 soft boiled eggs and a cup of coffee or tea. 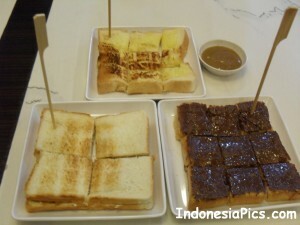 One of the most popular outlet is the Ya Kun Kaya Toast;� which is normally very crowded especially during the weekends. 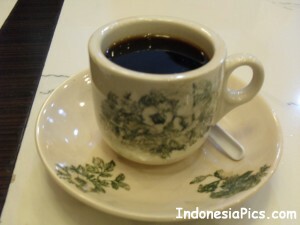 In Indonesia, especially in Jakarta and Batam,� coffee outlets are now a norm and gaining popularity. You can see a few different coffee outlets in a single mall itself.� Coffee stores in Indonesia tend to be bigger and more spacious as compared to their counterpart in Singapore. Space, rent and labor are much cheaper in Indonesia as compared to Singapore. Another distinctive feature of the coffee stores in Indonesia is that these outlets offer a wide variety of food and beverages. 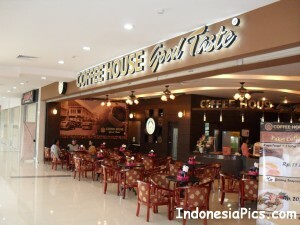 In fact, the coffee outlets in Indonesia tend to be a full fledged restuarants. Besides toast bread, coffee and tea, you can also order food like fried rice, noodles, soup, fried chicken, orange and fruit juices, and so on. 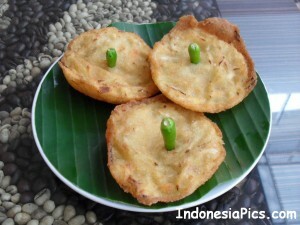 Toast bread that are offer in coffee outlets in Indonesia comes in many forms. I will normally order the classic toast bread with butter, follow by the toast bread with cheese and chocolate. You can order your coffee or tea with or without milk. I have seen people eating toast bread during lunch and dinner time.� For me, I have them for breakfast or during tea break in the afternoon or evening. But as these restauants offers a wide choice of food in their menu – you could actually combined your order to have it all.� For example you could order fried rice with chicken,� seafood soup, toast bread, a cup of coffee and a glass of fruit juice. So you can have it all under one roof. I find that the coffee served in Indonesia tends to be more sweet than in Singapore. Indonesians love to have more sugar in their coffee. So if you want less sugar or milk in your cup of coffee,� do let the waiter know when ordering your beverage. Beside the butter, cheese and chocolate toast bread, you can also compliment it with the local pastries.� Normally these coffee outlets also offer traditional Indonesian pastries as well in their menu.